De Dietrich Process Systems is composed of the organizations formerly known as De Dietrich Glass Lining, Rosenmund-Guedu, and QVF Process Systems. Through the integration and synergies of these three companies, De Dietrich Process Systems has become one of the most comprehensive global suppliers of engineered systems, equipment and services for the fine chemical and pharmaceutical industries. Worldwide there are more than 1,100 people and fifteen subsidiaries that form a network to serve our customers. The worldwide De Dietrich Process Systems Division is managed from our headquarters in Reichshoffen, in the Alsace region of France. 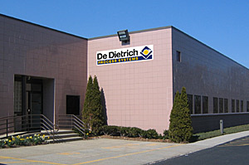 In North America, De Dietrich Process Systems, Inc. is headquartered in Mountainside, New Jersey, with design and fabrication facilities in Corpus Christi, Texas and Charlotte, North Carolina. Furthermore, we have a network of sales and service representatives located throughout North America. Whether it is the design, construction and installation of turnkey systems or replacement parts and maintenance service, our goal is to be your one stop shop for your processing needs. Founded in 1684, French-based De Dietrich has evolved into a world leader in the manufacture of glass-lined equipment for the pharmaceutical and chemical industries. State-of-the-art production facilities in France and Texas utilize cutting edge technology and the highest quality control procedures to line stainless and carbon steel vessels with 3009 glass. De Dietrich Glass-Lining manufactures a full line of unjacketed, conventional jacketed and split-pipe coil jacketed reactors, storage tanks, receivers, columns, dryer-blenders and Nutsche filters ranging in sizes up to 35,000 gallons. De Dietrich also manufactures and stocks a full complement of related instrumentation, accessories and spare parts. Additionally, De Dietrich performs reglassing of existing equipment, training seminars and on-site repair and maintenance. QVF was created in 1953 as a subsidiary of Quickfit and Quartz, Ltd. and the James A. Jobling Company, Ltd. In 1998, QVF bought Schott Engineering and merged the two companies and product lines. 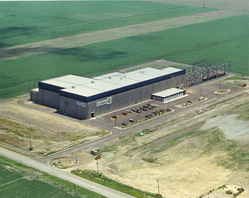 In 2000, QVF became a member of De Dietrich Process Systems. With manufacturing facilities in Germany and the United Kingdom, QVF continues to be a world force in process plant technology. QVF is the leading supplier of borosilicate glass process plant and associated equipment. QVF has unequaled experience in the design, engineering, procurement, installation and commissioning of everything from complete glass-lined and borosilicate glass reaction, distillation, extraction, evaporation, cryogenic and absorption systems. Ranging in size from one liter to full scale production, these systems include sulfuric and nitric acid concentration plants and cGMP equipment. Through a large inventory of spare parts and accessories stocked in our New Jersey headquarters, QVF provides a variety of aftermarket services ranging from start-up assistance to retrofits of systems. Founded in 1810 in Liestal, Switzerland, Rosenmund is the recognized industry leader in the design, development, construction, installation and support of Nutsche filtration, mixing and drying equipment for the pharmaceutical and chemical industries. 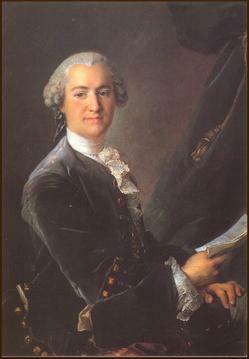 Rosenmund pioneered the very first Nutsche Filter/Dryer and has been a driving force in the development of this technology ever since. 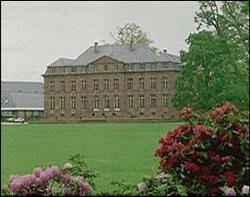 In 1999, Rosenmund was purchased by De Dietrich. Today, Rosenmund continues to bring innovative products to market in the areas of liquids/solids separation, drying technology, vacuum and gas handling systems, control packages, and product charging and containment systems. Rosenmund has fabrication facilities in Switzerland and France with engineering and assembly services in Charlotte, North Carolina. Beyond the supply of equipment, Rosenmund provides process assistance and optimization, equipment repairs, refurbishment and rental services. 1792 - Philippe-Frederic de Dietrich ordered to Captain Rouget de Lisle "La Marseillaise"
2000 - De Dietrich Purchased QVF Process Systems, Inc.
2001 - De Dietrich Process Systems is formed from the combination of De Dietrich Glass-Lining, Rosenmund Guedu and QVF Process Systems. 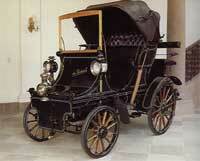 De Dietrich moved into automobile construction in 1896.